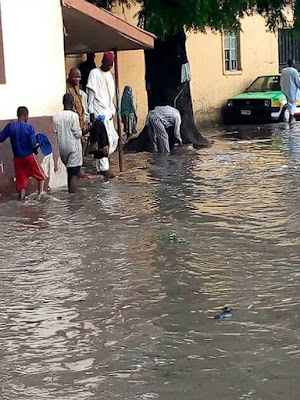 An early morning downpour in Maiduguri on Monday flooded many areas as residents found it very difficult to come out of their homes. 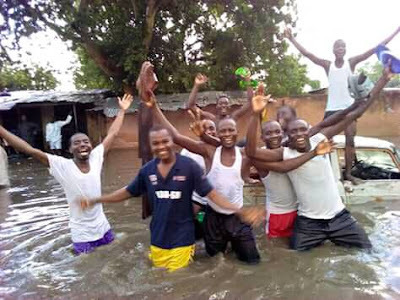 Most accessible roads in some areas was submerged, making it difficult for passage in and out of affected areas. 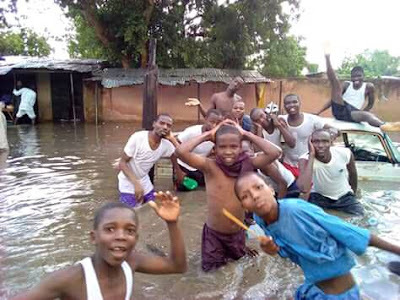 Some of the residents including schoolchildren who came out decided to take pictures in the flood.